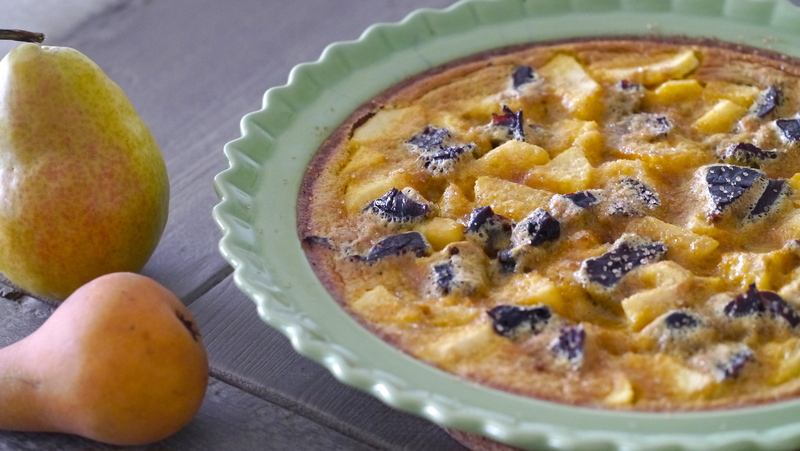 Clafoutis is a baked dessert with fruit in a custard-like batter that originated in France. Traditionally this dessert is made with cherries but you can use any variation of fruit such as pears, apples, plums or blueberries. This rustic dessert is super easy to make and can be served warm or cold for casual family dinner. In a large bowl beat the eggs and sugar with an electric mixer until fluffy, about 2 minutes.